On the Port Fairy Men's Shed website you will find information about the Shed, how to become a member, completed projects, projects in progress, how to request a project, our newsletter and up to date events and activities planned. Our vision is to establish and maintain a venue where members can meet, have fun, engage on practical projects and to ensure that the Port Fairy Men's Shed develops into a valuable community facility supported by a thriving and active membership. The Shed was completed in February 2010 and formally opened by MLC for Western Victoria, Jaala Pulford, on 9th April 2010. 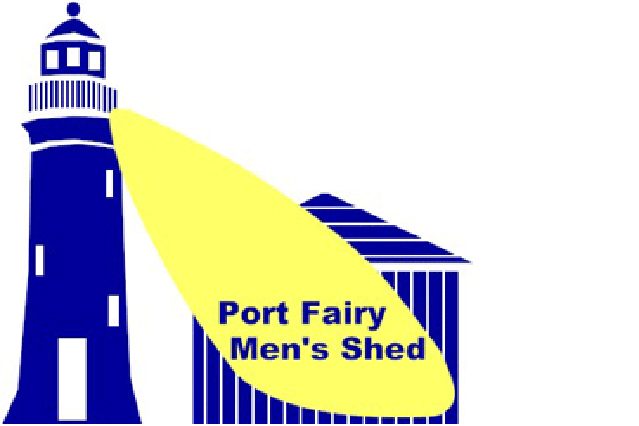 The Port Fairy Men's Shed is located on the Port Fairy Showgrounds and boasts approx 90 members. It has a Craft Group (a group of around 20 - mainly ladies!) who meet in the Shed every Thursday afternoon. The Craft Group are active members of the Port Fairy Men's Shed and contribute much to the life of the Shed.